Praskovya Ivanovna Kovaleva-Sheremetevoy, on the stage of Zhemchugova, a wonderful Russian actress, the former serf Count Sheremetev, a woman of rare talent and kindness. Surprising and beautiful is the love story of N. P. Sheremetev and the serf actress, the “prima” of the Sheremetev theater, which played under the name of Praskovia Zhemchugova. The Count fell in love with a young beauty, a talented actress. This beautiful love lasted about 20 years. In 1798, Sheremetev gives her “free”, and in 1801 the earl and former serf from his Kuskovo manor are secretly crowned in the church of Simeon Stylites in Moscow. The Count came up with a genealogy that went back to the Polish nobility of the Kovalevskys. In fact, Parasha Kovaleva was the daughter of a blacksmith from the village of Kuskovo near Moscow. Parasha Kovaleva becomes Countess Sheremeteva. Emperor Paul I blessed the “unequal marriage,” after long hesitation. Family happiness of Nikolai Petrovich was short-lived. In 1803, the countess “died childbirth”, leaving her husband three-week son Dmitry. The count suffered greatly and did not marry any more, having devoted himself to his son. In memory of his wife, he built a hospital for the poor and took part in other charitable projects. On the portrait, a thirty-five-year-old actress is depicted in her home clothes, shortly before her death, which followed a month after the birth of her son. 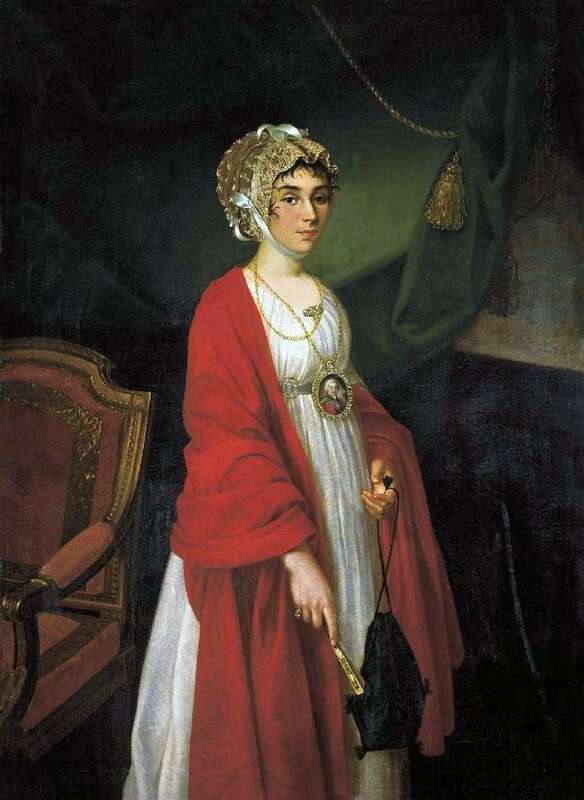 Count Sheremetev ordered his serf NI Argunov, this portrait of Praskovia Ivanovna, in order to promulgate her marriage and strengthen the rights of the future heir of an incalculable state. Description and meaning of the painting Portrait of actress PI Kovalevoy-Zhemchugova by Ivan Argunov.